A debate around Kashmir in India, in Pakistan and Kashmiri circles has never abated. If we had invoked the arbitration clause, India had no exit ramp. It is generally said that UN Security Council Resolutions are under Chapter VI and therefore are only recommendations. This is not true. Article 1 (2) of UN Charter on “equality of people and right of self-determination” and the jurisprudence of investigation of the Kashmir situation by UNCIP, its reports, reports by UN representative for India and Pakistan and debates at the UN Security Council, perfects the interpretation in our favour. Kashmiris today are fond of drawing comparisons between their recent history and that of the Palestinians. Pictures of Kashmiri kids stoning Indian forces in a three decades old uprising that has come to be known as the ‘Kashmiri Intifada’ have played a part in this growing affinity with the Palestinian struggle for freedom against Israel. Why 27th October is Black Day for Kashmiris! The saga of the sufferings of the people of occupied Kashmir started with the landing of Indian troops in Srinagar on October 27 in 1947. India occupied the territory of Jammu and Kashmir against the people’s aspirations and in total disregard to the Indian Independence Act and Partition Plan. The Kashmiris consider the 27th October as the darkest day in the history of Jammu and Kashmir and observe it as a Black Day. Washington, October 20 (KMS): Human rights work in tandem with Kashmir peace initiatives. The two do not war with one another. The idea that suppression of human rights promotes peace is discredited by all history, including that of Kashmir. The denial of freedom of speech, association, religion, due process, equal justice, and self-determination in Kashmir has sabotaged peace, not boosted its chances. Ditto in the past for East Timor, Slovenia, Croatia, Bosnia, Macedonia, Kosovo, Southern Sudan and etc. The people of Kashmir no less demand dignity and respect than do other peoples. Washington, August 15 (KMS): The Secretary General of Washington-based World Kashmir Awareness Forum, Dr Ghulam Nabi Fai, has said that India persists in allying itself with a position that has no legal, moral or constitutional authority to celebrate its Independence Day in occupied Kashmir which is not a part of the Indian territory. Washington, July 27 (KMS): The Aaland Islands had already petitioned the Russians to secede from Finland and join Sweden. The cry for independence in Finland set in motion Swedish aspirations to be among their own, to secede from Finland and join Sweden as they had been little more than a century earlier. Washington, July 21 (KMS): There are some disputes in modern history that one might take lessons from in understanding the wisest course to take in resolving the Kashmir dispute. 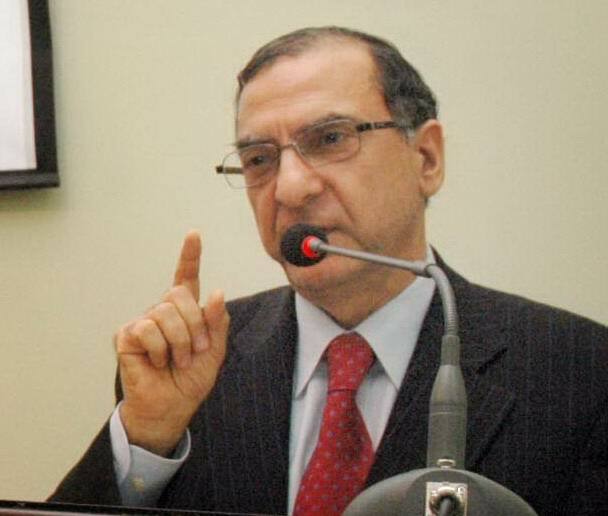 Washington, June 13 (KMS): Dr. Ghulam Nabi Fai, the Secretary General of World Kashmir Awareness Forum, has said that Kashmir is the most densely soldiered territory in the world, hosting more than 700,000 Indian military and paramilitary personnel. Islamabad, May 19: There is a confusion on the ownership of the Kashmir case. If one reads the UN package on Kashmir, Constitution of Azad Kashmir and article 257 of the Constitution of Pakistan, there is hardly any confusion. The jurisprudence of Kashmir case is either misunderstood or we misdirect ourselves. India and Pakistan may have agreed in June 1997 joint statement to disturb its core status and add Kashmir into eight outstanding issues, according to United Nations Kashmir continues to remain as “the greatest and gravest single issues in international affairs”.